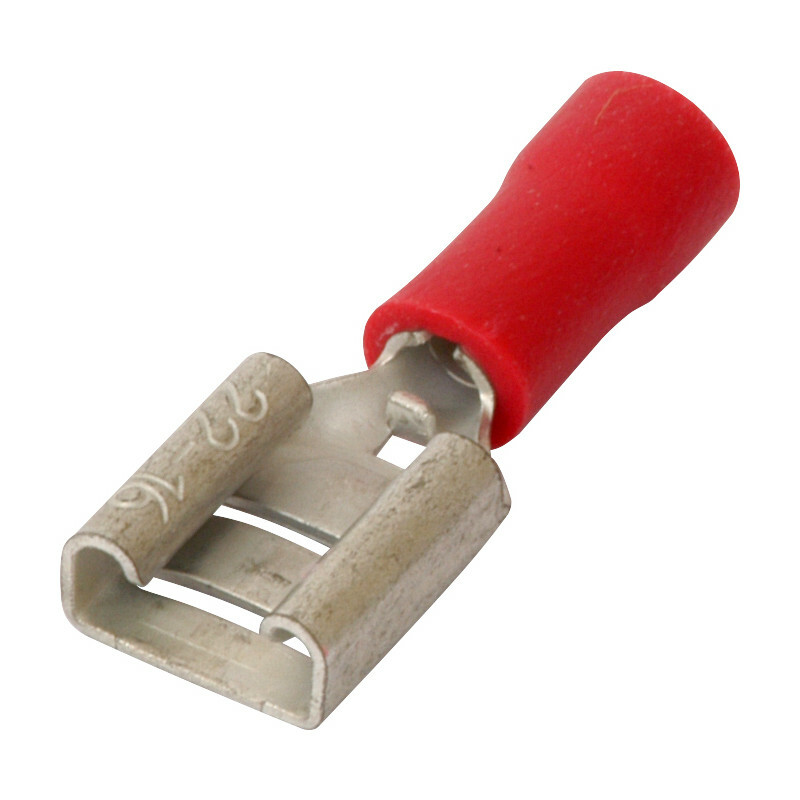 Spade Type Connector Female 1.5mm Red (100 Pack) is rated 4.8 out of 5 by 9. Rated 5 out of 5 by Yunghup from Spade connectors as expected Ordered 3 different sizes of spade connectors. Next day delivery at some point, from past experience after noon, was expected. Arrived via Royal Mail first thing! Super service, even quicker than expected. Rated 5 out of 5 by Dickie 2 from Great features Excellent product at an affordable price. Rated 5 out of 5 by Martinezflooring from As described In a hurry to finish a wiring job on my motorcycle, didn't have the right connectors, but Toolstation did and late in the evening. Well done. ..